HYDERABAD: Central Crime Station (CCS) sleuths on Monday arrested eight persons and served notices on 54 others for allegedly conning 600 persons by offering loans at low interest. The culprits cheated the victims to the tune of 25 crore. CCS officials said prime accused Asha Kumari and Ranga Swamy Gopi of Elite Connect Care Pvt Ltd started call centres at Banjara Hills and Panjagutta by employing several persons, who used to make telephone calls to gullible persons by claiming that they belong to different banks and offer loans at low interest. “A victim received a phone call offering 5 lakh loan from Mahindra Finance at low interest. Later, the caller obtained his Canara Bank account details, including OTP, and fraudulently transferred 32,000 from the victim’s bank account through PayU Just Dial e-commerce merchant,” Hyderabad police commissioner Anjani Kumar said. Based on the complaint from the victim, the CCS, Hyderabad, registered a case and tracked the accused based on accounts into which the money was transferred. 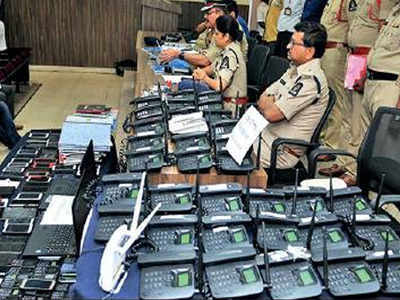 Police on Monday said managers Asha Kumari and Gopi and team leaders -J Bhoopal Reddy, B Sai Ram, G Naresh Yadav, Mahajabeen Khan, Vijay Laxi, R Apoorva – were arrested and notices were issued to 54 other employees, including telecallers, under the Section 41(a) of the CrPC. The accused were organising Elite Connect Care at Banjara Hills and Panjagutta. As per their modus operandi, the victims would initially be asked to send their Aadhaar and PAN card copies for sanctioning a loan. After receiving Aadhaar and PAN copies on their WhatsApp, they would inform customers that loan was sanctioned, but they have to deposit two month EMI in their bank account as security deposit. In the guise of collecting advance EMIs, the accused collect banking details of the victim and transfer the money, police said. Police seized 80,000 cash, 2 laptops, router, 34 wireless telephones, 42 mobile phones, 21 SIM cards, 60 notebooks from the accused’s possession.